Since we'll be headed to court in Ethiopia on April 24th (read Friday's post here in case you missed our big news! ), we thought it might be time to order this sweet boy a crib! 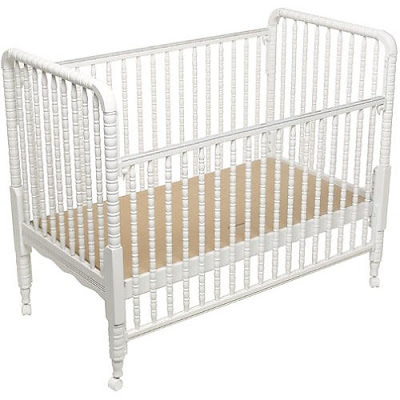 I've always had my eye on the Jenny Lind Spindle Crib. I love the simple, classic spindle design. We ordered ours from amazon for a pretty good price. Ahhh, this is turning out to be the best Friday EVER (I'll admit, I WAS a little tired and grumpy after braving the crowds to see the midnight showing of Hunger Games)! We found out from our agency's director today that our court date is April 24th!!! We need to arrive in Ethiopia by the 23rd. Praise God! We finally get to meet our son! I got an email today while I was meeting with my 3 teachers that I team with (I told you earlier that I am a compulsive email checker. I take it everywhere hoping for good news!) and I just started crying! They all started to get emotional too. It was such a great moment to share with some of my sweetest friends. I'm still trying to figure out about remaining in country or not (more than likely not since I'm a teacher and don't want to have to go right back to work upon returning home with him), but for now we're elated to be going at all! My Spring Break is April 2-6, so I'll be working on the nursery, packing, etc. Thank you for all of the thoughts, prayers, and well wishes on our behalf. 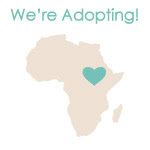 We can't wait to meet our sweet Hayes! 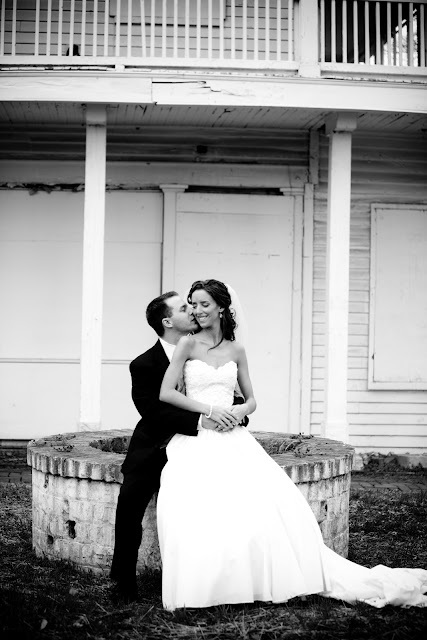 Today the hubby and I are celebrating our 4 year wedding anniversary! So much has happened in the 4 years since we got married: we got a dog, bought our first house, remodeled our first house, traveled on some AWESOME vacations (on a cruise, numerous beach trips, California, and Israel), and started the process to bring our little boy home from Ethiopia. I can't wait to see what this next year of wedded bliss holds! Last year I did a detailed post with lots of wedding pics, so I won't bore you with those again. But here they are in case you missed them. We celebrated a little early last night with dinner at one of our new favorite restaurants, Germantown Cafe. If you live in the Nashville area, you MUST try it out. We highly recommend the pork medallions and the filet. They were delicious! I am so blessed to have you iny life. Thank you for your constant love, encouragement, and support. I am so excited about the changes that will be coming to our lives this year. You're going to make a great dad and I can't wait!!! Hayes and I are lucky to have you! Happy Anniversary! Please pray that we hear news of our court submission this week. We were supposed to be submitted last Thursday. Then we were told we'd be submitted Monday and haven't heard anything since. That's the bad news. The good news is we haven't heard that we WEREN'T submitted. I've been a little down in the dumps, so I'm choosing to look on the bright side right now. I've been praying for patience and for God's perfect timing. I know there's a plan. I'm just really impatient right now. Thank you for all of your prayers and enouragement. We appreciate it so much! Today I'm here to let you in on a little secret for some cute and affordable pillows (or maybe it's not a secret to you!). Did y'all know that PB Teen had such cute pillows?! Where have I been? Check out the Ikat Crewel Multi Pillow Cover. This bold, colorful pattern would be sure to make a statement. Here's the Tropical Garden Crewel Pillow Cover﻿. I'm loving the big, bright flowers. Loving the Alphabet Needlepoint Pillow as well! They also have super cute sheet sets as well. You know I have a love of stripes! Check out the Cottage Stripe Sheet Set. I also love the Simple Stripe Favorite Tee Sheet Set. Once again, the ikat might be my favorite. Loving the deep blue of the Ikat Dot Organic Sheet Set. How fun is the Mini Dot Sheet Set? So did my Wayman Family Nesters already know about these awesome finds? Happy Friday all!